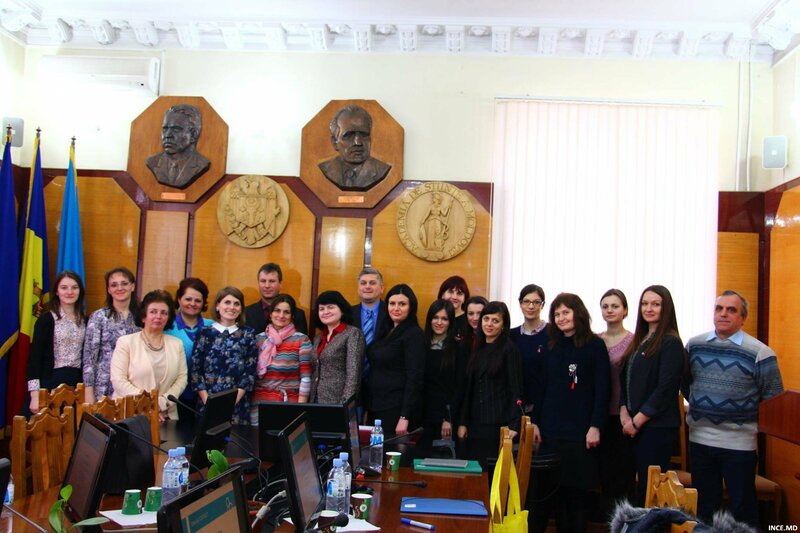 On March 4, 2016, was held training for EURAXESS LoCPs (local contact points, a national network of EURAXESS mobility program). The event aimed to promote the opportunities offered by EURAXESS program, European Charter for Researchers and Code of Conduct, which has multiple benefits of participating local contact points in the EURAXESS program. Also, the participants had many practical activities and demonstrated their role in national EURAXESS network operation. They were held some presentations including "Making EURAXESS program in Moldova", "Exercise: Logo Excellence in Research", "HRS4R: Step by Step", "Operation Network EURAXESS-MOLDOVA". The event was attended by local contact points from universities, research institutions, ODIMM, AIP, etc. The National Economic Research Institute was represented by Ms. Lilia Ghitiu, PhD., Assoc. Researchers, EURAXESS local contact point. The event was organized by the Coordinator Centre of EURAXESS Mobility program - International Projects Center (ASM).